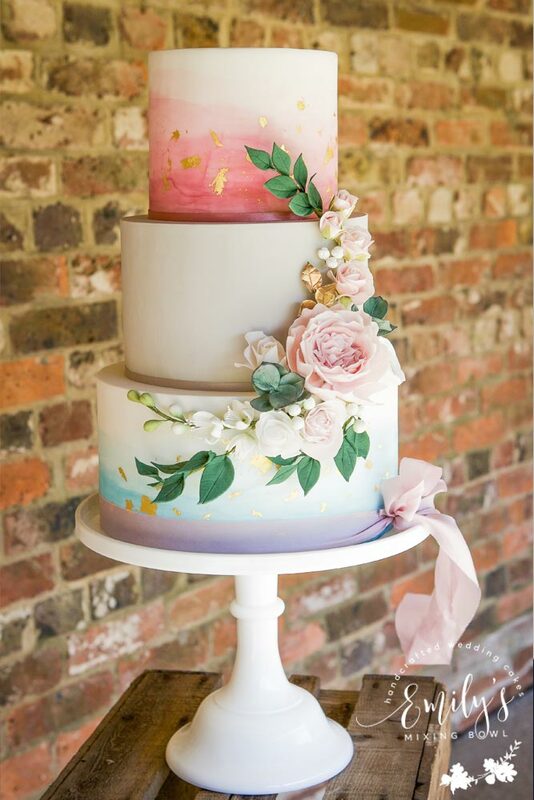 Jakki & Luke married at Swallows Oast in Ticehurst, East Sussex. 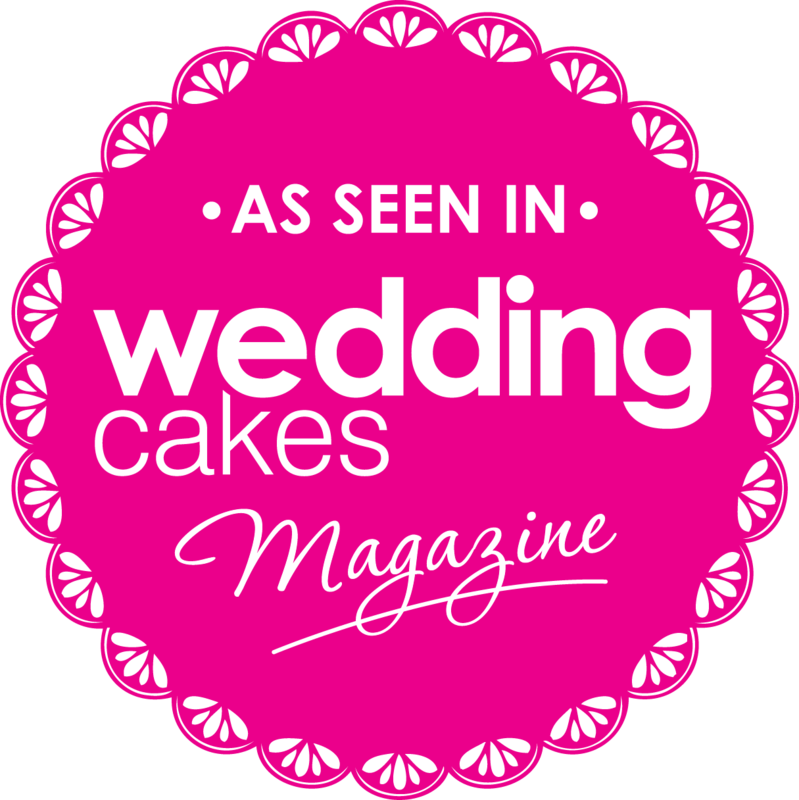 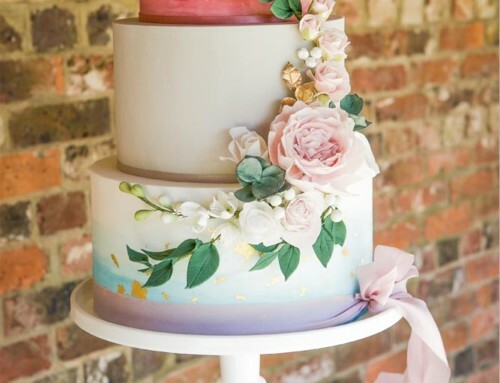 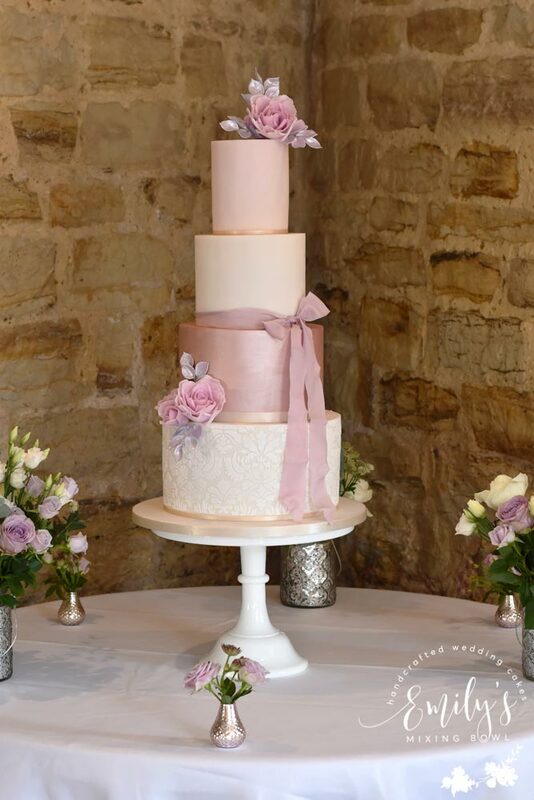 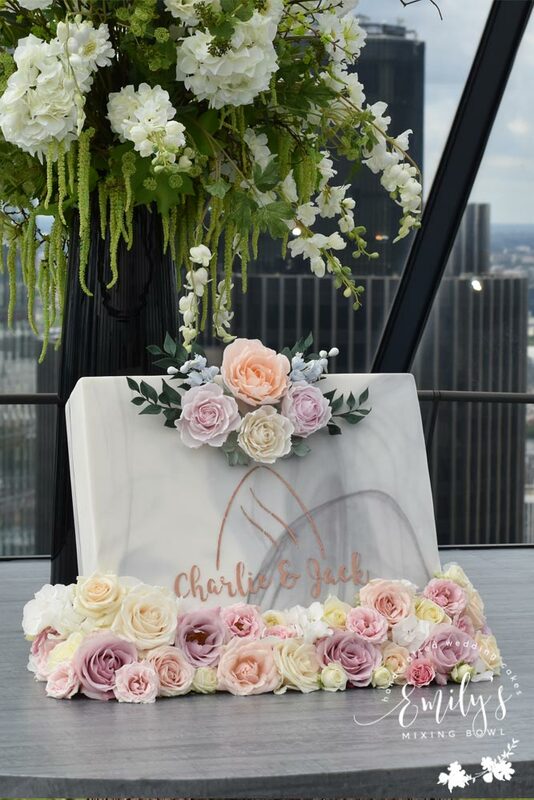 They had a dusky pink theme for their wedding and I designed them this 4 tier cake with a stencilled bottom tier, pink lustre tier and plain top two tiers. 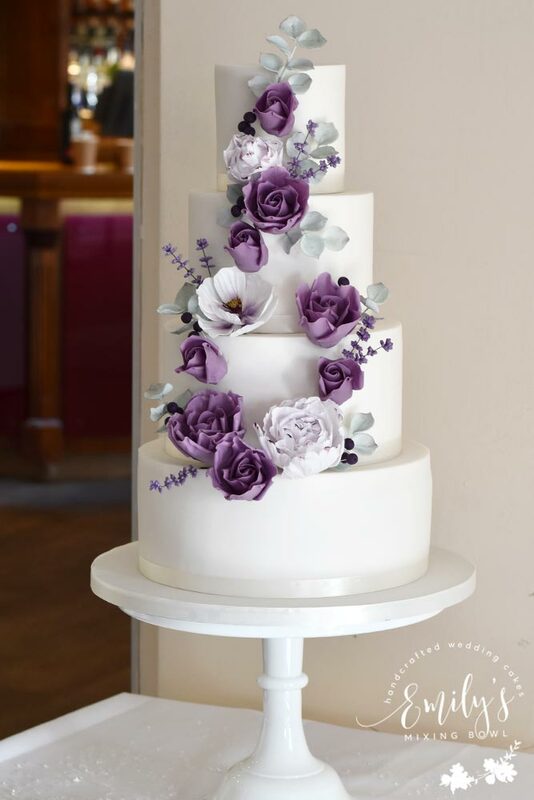 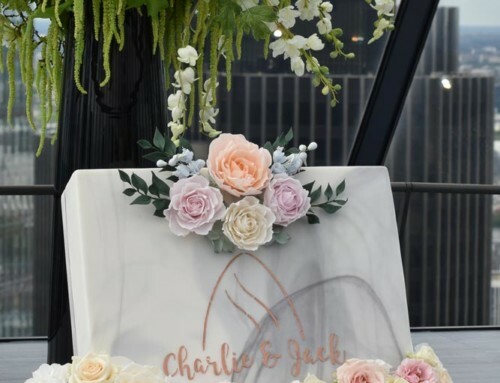 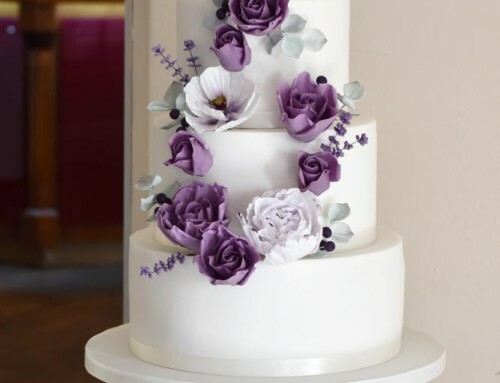 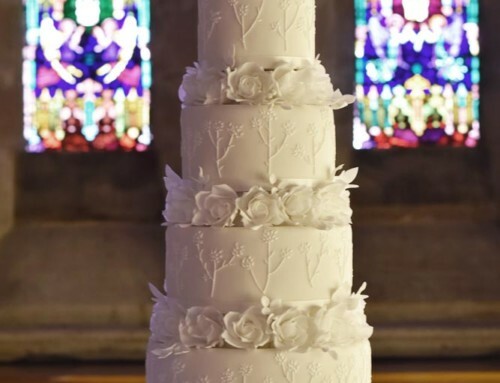 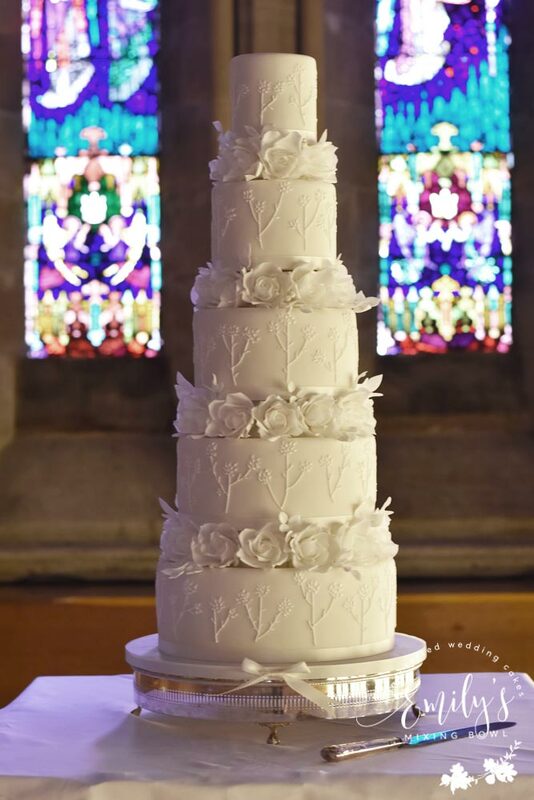 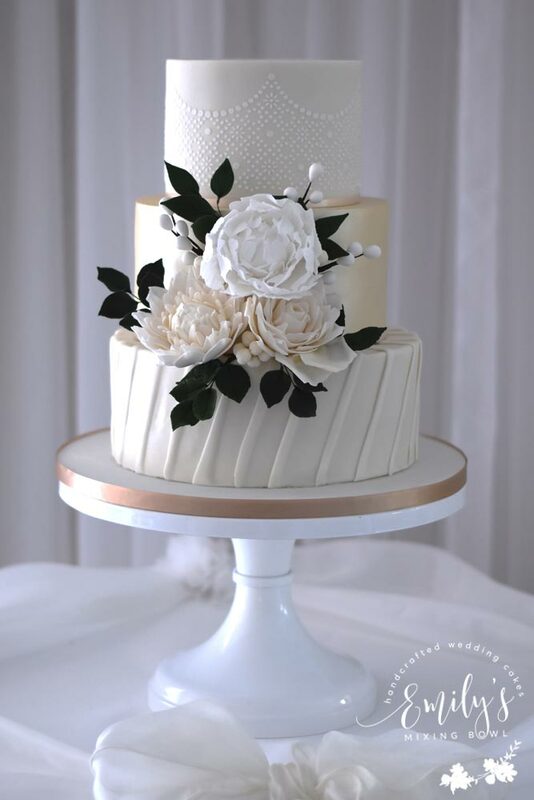 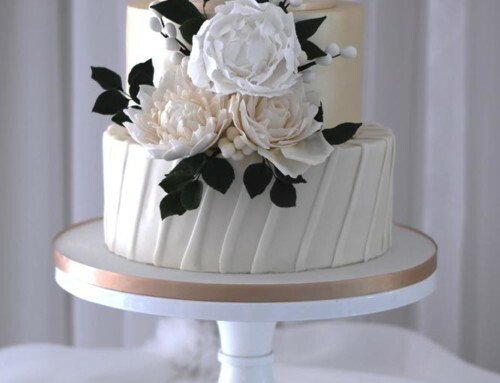 The cake was finished with a silk ribbon and small sugar flower arrangements.